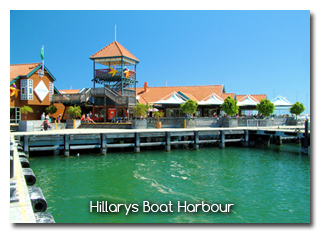 Just by around 10 minutes drive, you will reach Sorrento Quay, at Hillarys Boat Harbour. It offers entertainment plaza, restaurants and shops selling a lot of souvenirs.In the quay, you may also boast parasailing, scuba diving, deep sea fishing, charter yacht hire or just simply playing at the safe sandy beaches. It is also situated in the Hillarys Boat Harbour complex. 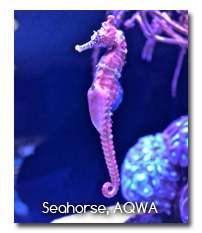 You may view and experienced the amazing West Australian Marine creatures when you visit the Oceanarium which is home to more than 2000 marine animals, including sharks, turtles, stingrays and the rare leafy sea dragon. 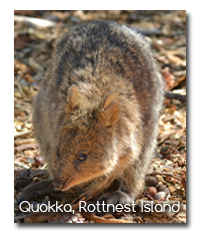 This island is located 19km off the coast from Perth and it is accessible using the ferries departing and returning to Hillarys Marina. Enjoy a day visit there and explore the island. It is located in the metropolitan area on the outskirts of Perth. 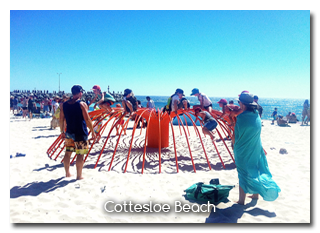 It stretches 50km from Cottesloe Beach in the South to Two Rocks in the North, with famous Scarborough Beach and Trigg Beach along the way. Lot’s of Whale Watching tours available during a day and some tours provide online booking too. Whales are amazing sea creature, see up-close and watch their behaviour, you will never forget the experience. All just within 5 mins of walk to Warwick Grove Shopping Centre where it has a quite collections of Café & Restaurants offering different types of cuisine. To name a few amongst are Hans Café, Serenade Palace-Chinese Cuisine, Coffee Club and Miss Maud. As well as the other major Fast Foods (e.g KFC, Red Rooster & McDonald). All just within 5 mins of walk to Warwick shopping centre with cinemas, bowling alley, gym, travel agent, drycleaner, chemist, hairdressers and many more.